A Quick Pulley Comparison... They All Rock! Hey all, I wanted to give a quick run down of some niche comparisons. Most pulley manufactures today make amazing gear. When I say most, I mean those within the centric conformity of standards, safety and accountability. We'll be looking at CMC, Rock Exotica, and Petzl ... and then, only a niched down subset of pulleys. This subset consists of the comparative nature of sideplates, sheaves and such. Example... Rock Exotica supplies a myriad of pulley styles... The Machined Pulleys vs the Omni Block for example are "pulleys" and both have sheaves and sideplates, but a comparison is tough. They aren't made for the same purpose or user.  Otherwise, one or the other wouldn't be needed and while we (the Rigging Lab Academy and Rescue Response Gear) have and continue to use these products... We aren't making any recommendations because within this niche... They All Rock! So in order to set this comparison up... I am looking at this type of grouping. OK... So let's start with CMC ProTech. Ideal for mountain rescue, swift water, ski patrol, tower work or other technical uses, where equipment weight is a significant consideration, these lightweight, full-strength Prusik-minding pulleys feature extremely low-profile stainless steel hardware to reduce snagging on rocks, roots, and uneven surfaces. By machining the side plates, the thickness of the metal can be optimized to maximize the strength-to-weight ratio, a process that cannot be done with the traditional bent metal side plates. The unique axle assembly delivers a smooth side plate and impressive strength. The aluminum sheave is mounted on sealed ball bearings for high efficiency. Ideal for small block-and-tackle kits. Recessed axle screw sits flush to pulley side plates, creating slim, snag-free profile. Axle is integrated into side plates, adding additional strength and rigidity to the pulley. Machined side plates allow for a more compact design while maintaining the same rope capacity of other pulleys. Petzl generally has 3 classes of pulleys and it could be said that a 4th as well. These "classes" of pulleys are super small, lightweight small, more generally sized pulleys and the fourth class would be the progress capture pulleys. Petzl has a sub-class of this fourth one... the Petzl Petzl Pro and Pro Traxion. Both have a side plates that allow for rope connection while set on the carabiner (Pro) and the other is similar to the Pro but includes a progress capture device (Pro Traxion). The Petzl Mini is highly efficient and lightweight prusik pulley that is compact and offers a lightweight solution for setting up progress capture systems. Super efficient for the size and mixes well with an abundance of mechanical systems. The Gemini is a highly efficient and lightweight double Prusik pulley that functions is a compact double pulley that sets up progress capture systems of high mechanical advantage. Obviously this list is really thin and while the comparisons are solid, if you're anything like me... you'd like a more dramatic look into the pulleys in use. Well, we have that planned very soon. We are building an entire course on pulleys and the associated gear... Think "transitions"!!!! See you soon.